Repairing an area rug is no different than repairing any complex object that likely cost a fair bit of money: it involves serious craft, finesse and knowledge and calls for more patience than most are willing to put in. Yet these are the qualities we're known for: if necessary, we'll spend hours applying our knowledge to mend your hurting rug and we'll love every second of it. There's just something about being able to take a rug that really looks like it's going into the can and transforming it so thoroughly that it might as well be put up for display in a store. Of course, we'd hate to make area rug repairs seem easy. 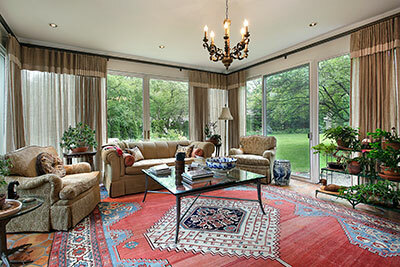 In fact, they're anything but: performing even smaller repairs on an area rug takes a lot of meticulous hard work. Fortunately, that's just what we're ready to put in – we won't rest until your area rug heals to full and no longer shows visible signs of damage that ruin its purpose as an aesthetic marvel. 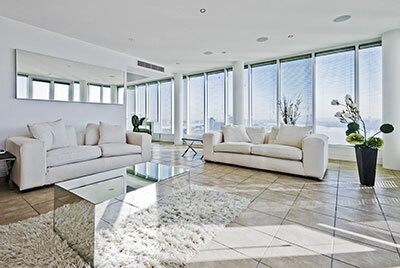 As every rug owner is probably well-aware, the things that can damage an area rug are many: cigarette burns, chemical spills, furniture indentations, rips, tears, scratches, fire, water... The list goes on and on. Each of these can seem like a nightmare to deal with, and we understand why many home owners feel overwhelmed when seeing their precious area rug look like it's been through a battlefield. Yet very few, if any, causes of damage to an area rug are reason enough for us to call the time of death. When dealing with area rug repairs, we have a very optimistic approach – call it faith in our abilities or simply a glass-half-full mentality, but one thing is clear: we have enough faith in our rug repair skills to fearlessly tackle even the most ruined of rugs. Our repairing methods can vary greatly based on what was done to the rug – there's no way of knowing what we'll have to use on your area rug before performing a close examination first. With that said, we might be able to give you a general idea of what we'll have to do based on how the carpet got damaged – give us a call and explain what happened to it and we'll try to give you a run-down over the phone even before setting our eyes on carpet. Here's another thing we can give you without examining the carpet: the promise that every repair we make will seamlessly integrate into your soon-to-be-beautiful-again area rug. Forget noticeable patches that show stitching and deviate in texture or even color – our repairs are meant to be invisible and our work is focused on hiding them not only from plain sight but even from scrutiny. 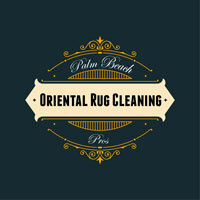 After all, what good is a rug repair if anyone can tell that the rug once suffered damage? By the time we're done, not even you will be able to tell that your area rug had an ugly burn mark or a sizable hole.